Family Holidays in a friendly and safe location. Spend wonderful family holidays in an idyllic and quiet location and fantastic panorama views. Holidays at the Sturmgut farm are synonymous with safe and fun holidays for the whole family! We offer a large playground where kids can romp about to their hearts' content. Next to the playground is a beautfiul sundeck where you can relax and revel in the scenic views and at the same time keep an eye on your kids. 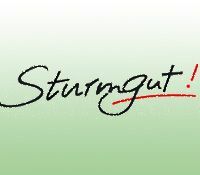 The Sturmgut estate is easy to overlook and therefore ideal for children. Our family farm is easy to overlook and also children easily find their way around. The child playroom is only a few steps from the guest lounge. The large theme sauna, the table tennis room and the shoe drying room are set in the cellar. All rooms and apartments are accessible from a central staircase. A small kitchenette is there for all guests on the first floor. Here you can prepare small meals or heat/cool something for the little ones. Thanks to the quiet and secure location far off the busy roads, our farm is the ideal family resort. Our farm is set at the end of a quiet road. No through traffic. In addition, there are no lakes or rivers that might be dangerous for children anywhere near the farm. Our estate is set on a high plateau with no dangerous slopes in sight. Experience peace in the mountains on a real farm. Great physician in town, two paediatrics and a good hospital within 40km.